A delightful and intriguing story of a nurse on a luxurious Caribbean cruise. 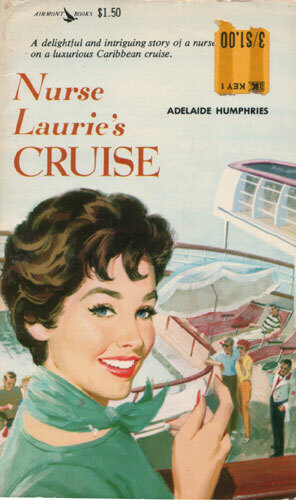 A nurse-companion on a Caribbean cruise sounded like fun to Laurie Fielding. But to make sure she got the job, Laurie tried to disguise her blonde loveliness before she went for the interview. The first person Laurie met on the Bianca was Jeff Anderson, so much the picture of the man every girl hopes to meet on a cruise that Laurie was instantly put on guard. As they cruised the exotic tropical islands, Laurie found herself paired off with the young professor writing a book on the West Indies and her beautiful employer with the attentive Jeff — with Laurie becoming more and more attracted to Jeff. A delightful and exciting story of a young nurse in search of adventure — with both danger and love lurking for Laurie in the blue waters of the Caribbean.